Many owners of Unregistered Vehicles such as fork lifts, golf buggies, tractors, front end loaders etc do not realise they may be required effect some form of Registration including CTP insurances depending on where such a vehicle is driven. Regulations are State or Territory based and depend on the area where the vehicles are used. You should check with your state registration body to check how the relevant legislation applies to each circumstance. Legislation regulations may even require Registration (perhaps conditional) when such vehicles are used on certain “privately owned land”. parking areas at hardware store etc. Public Liability insurance policies usually contain coverage re claims arising from use of unregistered vehicles – except where legislation/regulation requires them to be registered. *This e-advice attached sets out the legal position as to when/where “vehicles’’ should be registered. 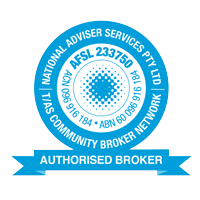 *This document is general information only and designed to provide guidance to insurance brokers arranging liability policies. It applies as at the date referred to in the document title. It is not intended as advice about, and should not be relied on as advice about, particular circumstances. Specific legal advice should be obtained for each particular circumstance.